The basis of our teaching of Religious Education is "The Diocesan Syllabus for Religious Education", but like all secular subjects it is often integrated into project work of the class. In this the thematic approach is ideal. The starting point is the child himself building on his experience and growing awareness of himself, his relations with others and with the natural world. "If children are to develop an understanding of religion there are certain skills and capacities which have to be developed. Exploration of experience depends on a developing awareness of self, other people and the natural world, and an ability to respond”. The skills necessary for understanding religion are the same as those in other areas of the curriculum. Holy Week is the last week of Lent, the week leading us towards Easter. As we journey towards Easter Sunday, each class has helped us in our preparations by retelling some of the stories of Holy Week. 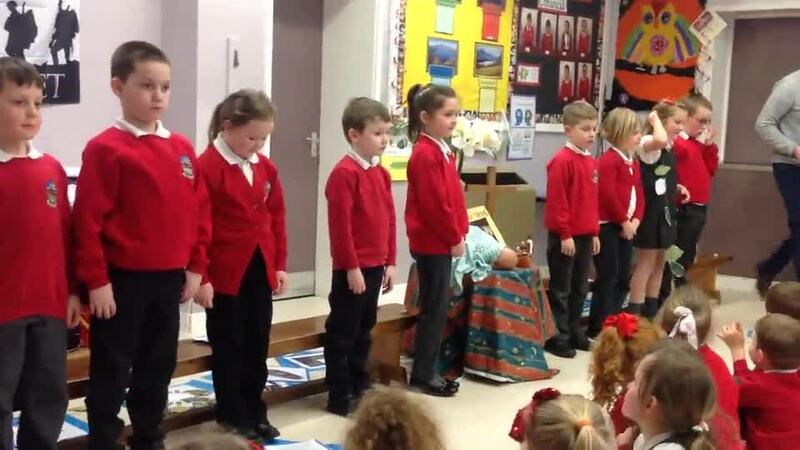 On Friday the 8th March our year 2 class delivered their beautiful class assembly. Their theme was 'hope' and they sang wonderfully. We will PRAY by taking 5 minutes out of our day to pray for all our friends and families in our homes, community and world. © 2019 Beckermet C of E Primary School.